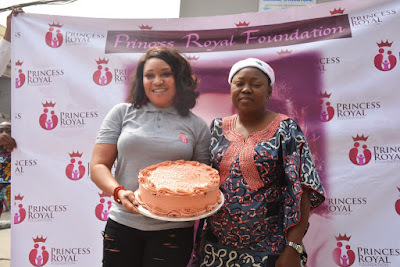 Award winning UK-Based Nollywood actress, Princess Elizabeth Onanuga and CEO of Princess Royal Foundation, on Thursday, 14th of December, 2017 celebrated her birthday amidst Joy and charity as she takes to the streets of Lagos to give food to the beggars and also visit to the Orphanage at Modupe Cole. It was a moment of Joy for the beggars as hardly does an individual feed them in mass as the talented actress has done. They were seen jostling for the food as the movie star moved around to distribute the food to them which shows how much they accept and appreciate her. This is one rare step she has taken as just few people who have attained her status would do the same. It was also discovered that she flies all the way from United Kingdom to Nigeria every year to celebrate her birthday with the needy and the orphanages through her foundation, Princess Royal Foundation. 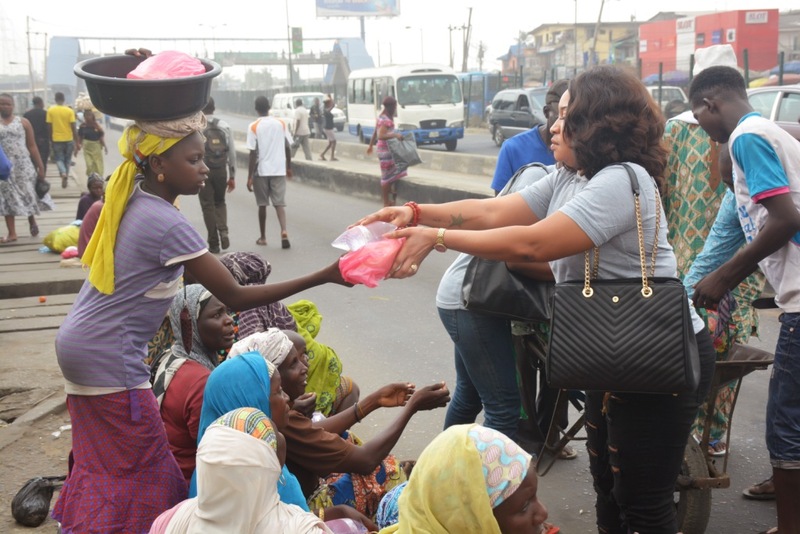 During her visit to the home of the needy, Modupe Cole, Yaba, she was greatly celebrated by the less privileged and they also chant a happy birthday song to her, while she was appreciated by the management of the orphanage centre. Ever since the onset, she has invested a lot of money into this personally, with little supporters, which shows how committed and passionate she is about the needy.